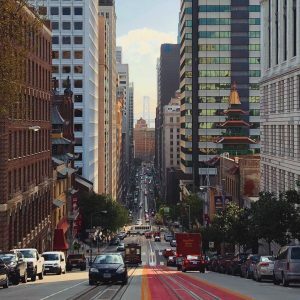 Some of our staff recently arrived back from the Game Developers Conference – a five-day games industry convention held annually in San Francisco. 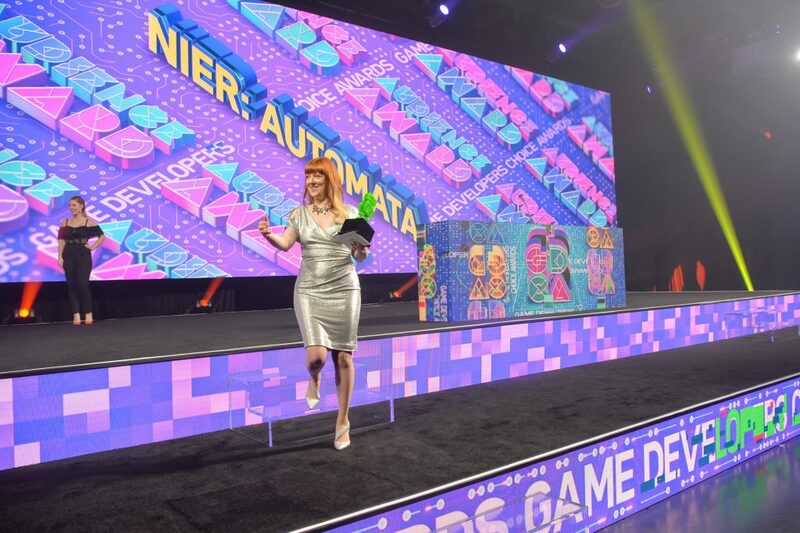 This year’s GDC ended on an especially high note for us, as NieR:Automata was awarded the Audience Award at the 2018 Game Developers Choice Awards! GDC is the world’s largest gathering of game industry professionals, bringing together developers from across the globe to share techniques and insights. 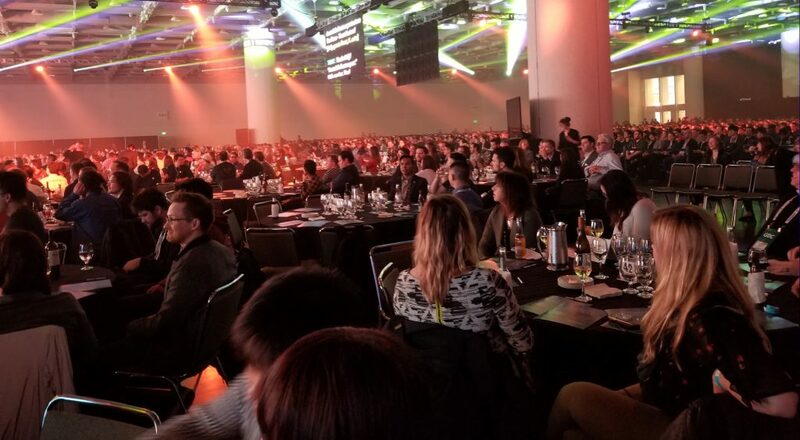 This year, GDC boasted 28,000 attendees – an all-time high! 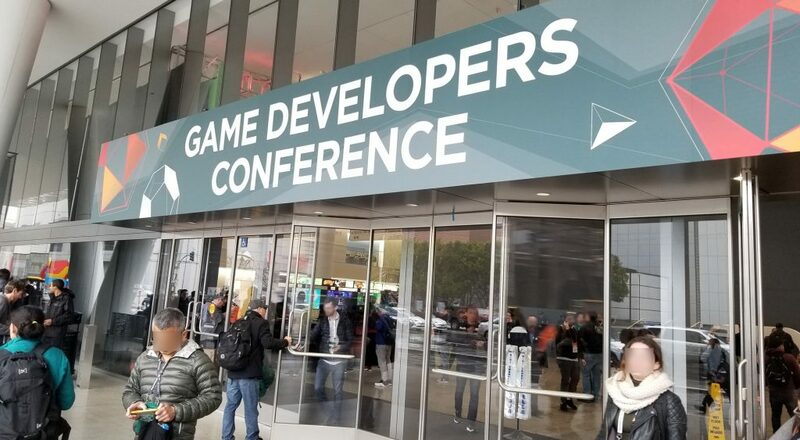 Several of those attendees were members of our staff here at Platinum, who made the trip across the Pacific Ocean to experience all the lectures and discussions GDC has to offer. 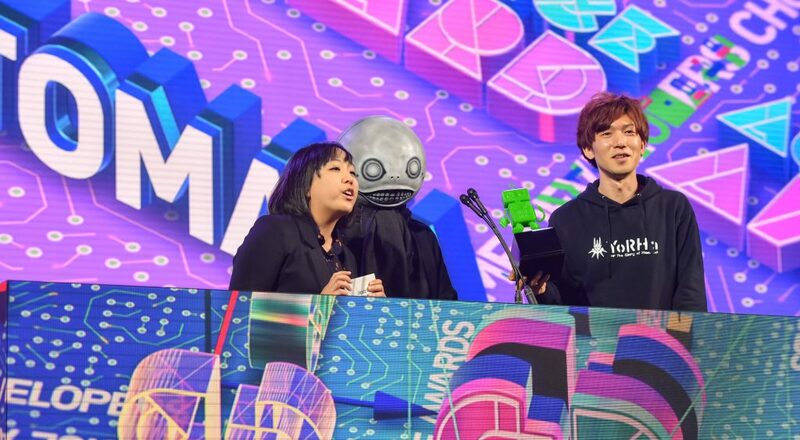 We made sure to send over a number of our NieR:Automata staff, since the title had been nominated for three Game Developers Choice Awards – Best Audio, Best Design and Game of the Year! It was a tremendous honor to be nominated, but everyone was a little nervous about it, too. After all, what if we actually won an award? What should we wear? What should we say? 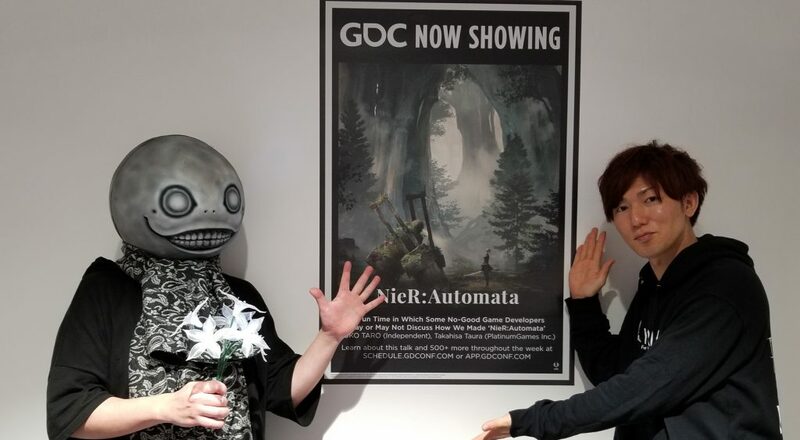 It wasn’t Kohata’s first time publicly discussing his audio work for NieR:Automata. 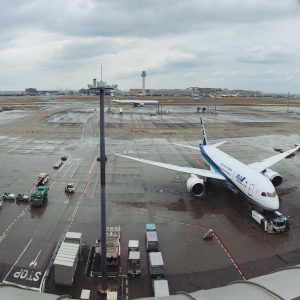 Last year, he joined sound designer Misaki Shindo at CEDEC – an industry conference here in Japan – for a lecture on how they gave the game a strong sense of acoustic space. This time around, Kohata gave an in-depth presentation about the real-time audio processing techniques that make NieR:Automata sound so unique. NieR:Automata is loaded with interesting audio effects, from glitches as 2B presses on despite her damaged body to the Voice Changer in the options menu; from the Doppler effect on Emil’s truck to the infamous “Become as Gods” song. Kohata’s talk covered all these and more, sharing footage from the game as he explained how these effects were created. The presentation was a great success, and Kohata loved having a chance to share his work with an international audience. If you’re interested in game audio but didn’t make it out to GDC this year, you can still see the slides from his presentation at the GDC Vault! 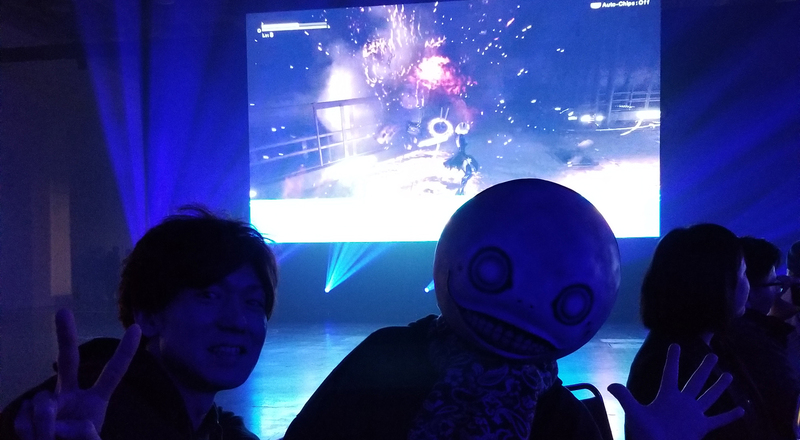 NieR:Automata director YOKO TARO and PG game designer Takahisa Taura were also on-hand to give a presentation of their own – which they gave the descriptive title of “A Fun Time in Which Some No-Good Game Developers May or May Not Discuss How We Made ‘NieR:Automata.’” Hey, none of the attendees could say they didn’t know exactly what they were getting themselves into. For the first half of the presentation, Taura went over how he made sure NieR:Automata is fun from the first moment you take control of 2B. YOKO finished up by diving into his process for designing the game, with a focus on the level of freedom that games provide. If you’re interested in having a Fun Time of your own, you’re in luck – GDC has graciously put up video footage of the entire presentation! This lecture is full of NieR:Automata spoilers, though, so if you haven’t played all the way through yet, go take care of that before watching! It’s cool, we’ll wait. 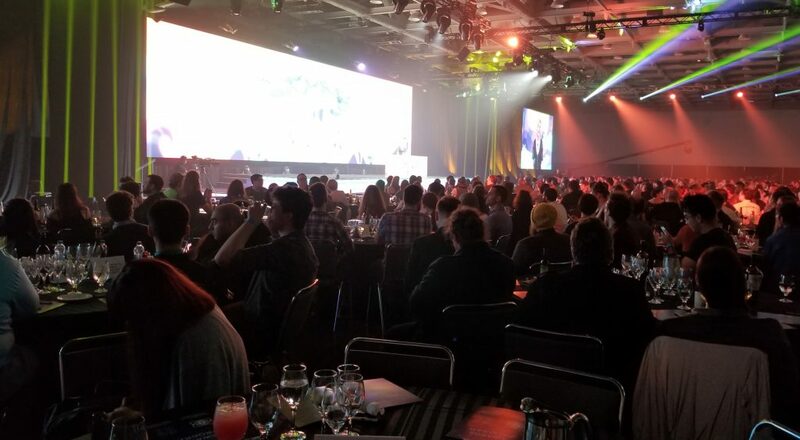 As the conference drew to a close, it was time for the Game Developers Choice Awards ceremony. It took our team completely by surprise! Taura helps YOKO get his game face on. YOKO and Taura weren’t even sure what award they’d won until they were onstage! The Audience Award winner is chosen in an online poll before the ceremony. As the two of them stood shocked onstage, they felt warm feelings of appreciation from the audience wash all over them. Thank you so much to everyone who voted for NieR:Automata! We asked our team members to share their impressions of this year’s GDC. 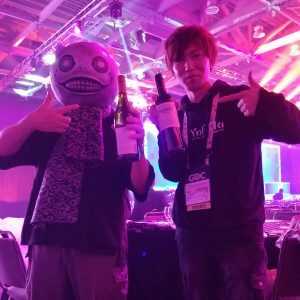 Takahisa Taura: It was a great experience to present at GDC, not to mention the Game Developers Choice Award presentation. Thanks from the bottom of my heart to all of you who’ve supported us. 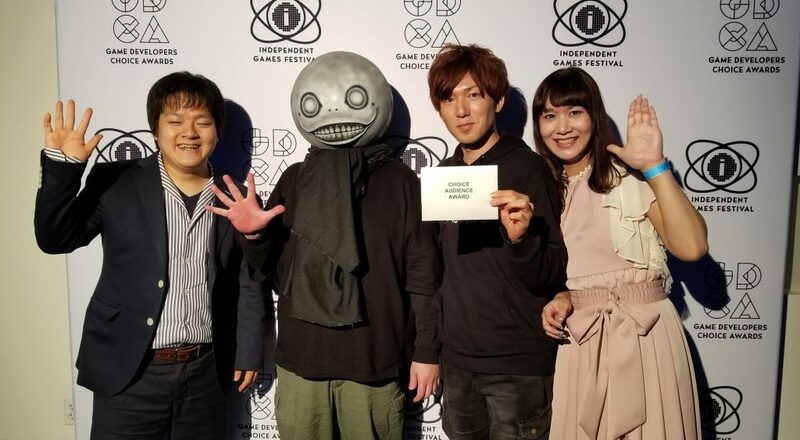 Last, to the great dev team behind NieR:Automata – congratulations on winning the Audience Award! 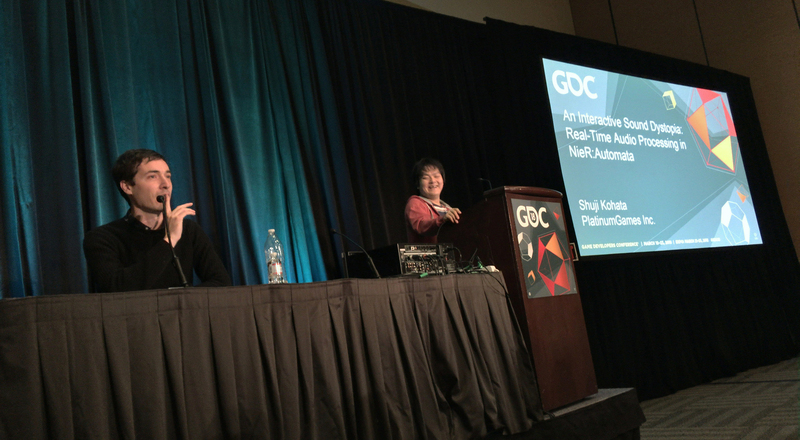 Shuji Kohata: This wasn’t only my first time presenting at GDC. And it wasn’t only my first time attending GDC. It was my first time visiting America at all. So that’s three major life experiences all at once! Getting such a warm reception for my presentation really made me grateful for this chance to share my techniques beyond Japan. It was a very meaningful experience for me. I have to give props to Andrew from our Localization team, too – my talk was full of audio jargon, but thanks to his hard work, we got through it without a hitch! 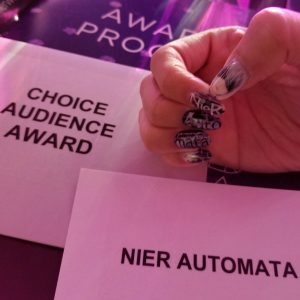 Misaki Shindo: For this year’s GDC, I went all-out with a NieR-themed manicure that took over four hours to finish! It was all worth it from the moment the conference receptionist noticed my nails and got really excited about them! It really hit home just how popular NieR:Automata has become. When I came onstage at the end of Kohata’s presentation to answer a question about sound design, and found myself greeted with warm applause, I was close to tears as I remembered all the days of hard work that led up to it. And to top it all off, we won the Audience Award! 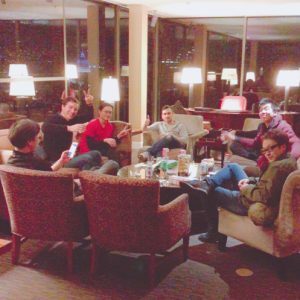 This was a truly wonderful GDC! I’m delighted to have had the chance to work on a game as special as NieR:Automata. Big, huge congratulations to the rest of the dev team! Andrew Brasher: I’ve been to GDC for the past several years but this was my first time actually interpreting a session. 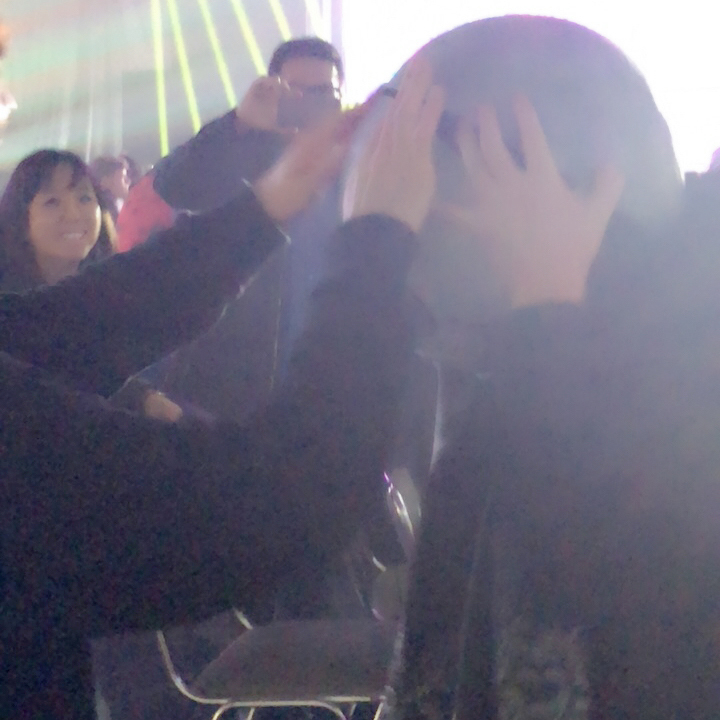 I got to tell Shuji about the old trick of picturing the audience naked. Hopefully he used it. Presenting was pretty intense! But I was happy to see the crowd had a good overall reaction to our talk. I hope everyone that came got something out of it. 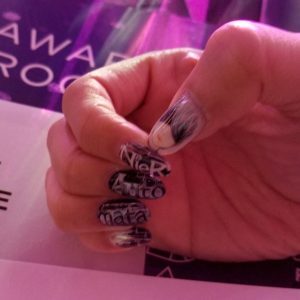 It’s Misaki Shindo’s stunning NieR nail art!